I don’t know if there’s a legitimate copy of the video online, but if you’re willing peer over the shoulder of the film fan who posted this video of himself doing commentary as a recording of the list plays in the background [YouTube], you can make out Ray’s quote because, fortunately, the guy was inhaling when it came on. Ray appears at the 2:21 mark. Update 02/25/2013: John sent a link to the Oscar segment containing the In Memoriam hosted at Hulu. It starts about 10 minutes in. 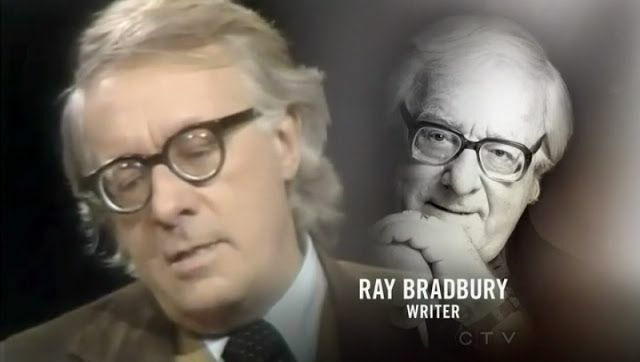 This entry was posted in In Passing and tagged Ray Bradbury by Mike Glyer. Bookmark the permalink. Full Memoriam starts at 10 minute mark.